The Possession of Marijuana and narcotics in Southfield Michigan is a serious offense. However, the possible sentence for a marijuana or narcotics delivery conviction is even worse. A marijuana or a narcotics conviction can result in loss of freedom due to incarceration, loss of employment opportunities or career ambitions, driver's license sanctions, problems with obtaining a loan or benefits, etc. In short, a marijuana or narcotics conviction will cause you to lose the ability to live your life in the manner that you are accustomed to living it. A Judge can even prevent you from using marijuana while on bond or probation, even if you have a medical marijuana card and the marijuana is vital to your health and well being. Marijuana and drug convictions for people who are not US citizens may be life changing, because the immigration consequences can include mandatory detention, deportation, and a bar from returning to the United States in the future. It is not uncommon for Immigration and Customs Enforcement (ICE) to be informed by the 46th District Court probation and Oakland County probation of marijuana and narcotics related convictions for non citizens. How much time you may serve for a conviction from a Southfield Michigan marijuana or narcotics case is based upon a number of different variables such as: who is prosecuting the allegation (Southfield city attorney, Oakland county prosecutor's office, or Federal US Attorney); the assigned Judge; prior record; the Sentence guidelines (for felony offenses); the location where the marijuana or narcotic was alleged possessed or distributed (home, school zone, prison, Federal land, etc. ); the weight of the narcotic involved; the alleged intent of the Defendant (use, simple possession, delivery, conspiracy, etc. ); the presence of a firearm in the commission of the offense. Not all marijuana and narcotic or drug convictions result in serving time or having a conviction record. Many first time marijuana and drug possession offenders can even avoid having a conviction record for the drug possession offense and avoid driver's license sanctions through a special status in the law (7411 or HYTA for State law cases) or a diversion program. Obtaining the best possible attorney to represent you for your Southfield marijuana or narcotics accusation may make the biggest difference in the outcome of your case. When it comes to drug prosecutions, the government is relentless. For drug investigations and arrests, the government has endless money and resources. Confidential informants, police officers, detectives, special agents, evidence technicians, and experienced prosecutors are a few of the government resources that will be pitted against you. When it comes to drug delivery, the government has no mercy. If charged with a drug offense, you need to do what you can to try and level the playing field. One of the most critical decisions you have to make is choosing a lawyer. If you choose any lawyer or a public defender, you are taking a risk in the type of legal defense you will receive. The smart decision is to find a lawyer who has the right combination of legal acumen, trial experience, and dedication to represent you and your interests. 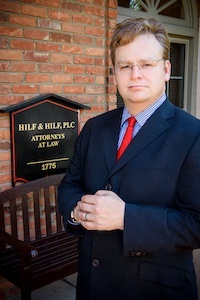 Contact Hilf & Hilf today for a consultation to discuss your Southfield marijuana or drug case.